What you need to do before, during, and after the entire mortgage process to make sure you are getting the right program. How to get the lowest interest rate possible. What to ask your lender before you buy a home (it’s not a pre-approval!). 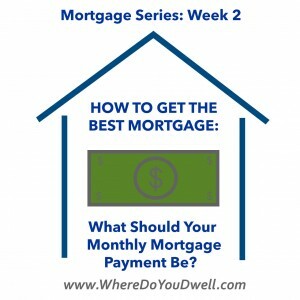 This week you’ll get all the details for determining your monthly budget, which will help you determine what your monthly mortgage payment should be. As discussed last week, you need this amount so your lender can work backward to determine a correlating sales price and pre-approve you for an amount you’re comfortable with. It’s not helpful to know WHAT you qualify for (FYI lenders can qualify you for more than you want!). It’s helpful to know what YOU WANT to qualify for and what those numbers look like—both your potential monthly payments along with downpayment requirements. This way you don’t start looking at homes that are not in the price range that makes sense for your budget. Knowing where your money goes each month and how much you spend is really a basic financial must-do whether you own a home or are still renting. If you’ve never really sat down to do create a monthly budget, now is the time to put these numbers down. You need to know where your money goes now. How much is going to rent, to food, to travel, car, gym, etc.? What expenses could you tighten-up on to get the home you want? What expenses are “mandatory” for your life and general happiness? For example, if you love to travel, then don’t buy a home that makes it impossible to go on a trip for years! That would not be worth it. 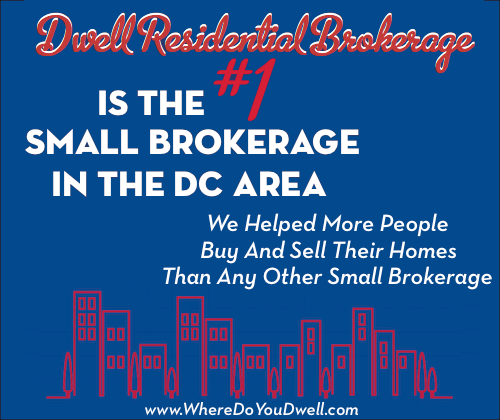 But, if you rarely drive your car and are willing to take Metro everywhere in your new home, then that’s where you could cut some of your monthly expenses to buy a home in the location you want. Making a budget is an important step, so be honest about what you spend your money on each month now, what you’re willing to forego, and what you expect to in the future. Remember what you can afford today can change next year and after that. Yes, your salary will increase but you’ll have new costs, such as kids or a new car, which could mean daycare and higher car payments each month. Factor in all of this when doing your calculations. Here’s what to include in your housing expenses. You’ll need to estimate some of these numbers and we can help you with that. •List all the costs of homeownership — property taxes, mortgage insurance, home insurance, maintenance, utilities, and condo fees, parking fees, if applicable. We can help with estimates! •List all other expenses you expect to continue — such as gym memberships, day care payments, car loans, school loans, gas or commuting fees, etc. •Estimate yearly maintenance costs for a home. Plan to spend or save about 1% of your home’s purchase price each year. So, if you buy a $300,000 condo, you should be putting about $3,000 per year into the home for maintenance or into a savings account for when you need to replace something in the future! • Include any tax advantages you’ll get as a homeowner. You’ll have deductions or equity in your home and can expect a larger refund that could go toward your savings. Here’s some additional guidance or “rules of thumb” that many experts suggest to buyers when determining how much they can afford comfortably. Remember, your specific situation could be very different, but these guides can be a starting point. These guides are a great way to help determine if you will be able to afford your current monthly debt obligations AND any new mortgage and homeownership costs AND still have some cash left over each month. You never want to be wiped clean each month! Buying a home priced two to three times your gross income is considered within the affordable range. If you earn $80,000 per year, you should be able to afford a home between $160,000 and $240,000. You can add these numbers to the amount of down payment you plan to use and voila, that’s about what you “should” use as your purchase price. You can afford 30% more in mortgage versus your current rent without changing your lifestyle. To figure this out, multiply your current rent by 1.33 to arrive at a mortgage payment that won’t bust your budget. For example, if you currently pay $1,500 per month in rent, you should be able to comfortably afford a $2,000 monthly mortgage payment after factoring in the tax benefits of homeownership. • Factoring in the 30/45 debt rule that lenders use can help you calculate how much new debt you can take on. For example, your entire monthly mortgage payments — home loan principal, interest, taxes, and insurance — shouldn’t total more than 30% of your gross annual income. And, your total debt shouldn’t exceed 45% of your income. This total debt includes your new monthly payments plus all your other bills, like car loans, utilities, and credit cards. In areas that have a high cost of living like DC, these numbers tend to trend up towards 35-40% of your monthly income going to housing. But that’s really pushing it, so don’t go any higher no matter what! Let’s use the 30/45 rule to show you how the math works. If your gross annual income is $80,000, multiply it by 30% and then divide by 12 months to arrive at a monthly mortgage payment of $2,000 or less. Next, check the total of all your monthly bills including your potential mortgage and make sure they don’t top 45% of your income, or $3,000 for this example. If you have any questions about calculating a monthly budget, please contact us. It’s an important step before you start looking at homes. Once you know your monthly budget, you’ll be able to work with the lender to determine your price range, which will then help you finalize your mortgage product and down payment options. We are being a little conservative here, but we also don’t want you to be house-poor. Only you know your spending habits and what’s best for your financial life. We’ve just shown you some ways to help you find the number to tell your lender when you meet for the first time (remember our advice last week). Stay tuned! Next week, the third installment of our “How to Get the Best Mortgage” series will cover the topic, “How Much You Need for a Down Payment.” This one is a biggie! But, you need to go through this monthly budget step first, so get this homework done before next week.